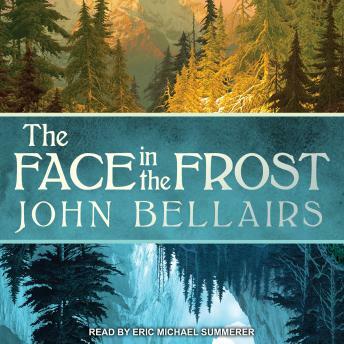 Listen to "The Face in the Frost" on your iOS and Android device. A fantasy classic by the author of The House with a Clock in Its Walls-basis for the Jack Black movie-and 'a writer who knows what wizardry is all about' (Ursula K. Le Guin). A richly imaginative story of wizards stymied by a power beyond their control, A Face in the Frost combines the thrills of a horror novel with the inventiveness of fairy tale-inspired fantasy. Prospero, a tall, skinny misfit of a wizard, lives in the South Kingdom-a patchwork of feuding duchies and small manors, all loosely loyal to one figurehead king. Along with his necromancer friend Roger Bacon, who has been on a quest to find a mysterious book, Prospero must flee his home to escape ominous pursuers. Thus begins an adventure that will lead him to a grove where his old rival, Melichus, is falsely rumored to be buried and to a less-than-hospitable inn in the town of Five Dials-and ultimately into a dangerous battle with origins in a magical glass paperweight.